19.30mm diameter to 165.00mm diameter. Reversible Tri-Lock gauges have double the length of life compared with non-reversible gauges. 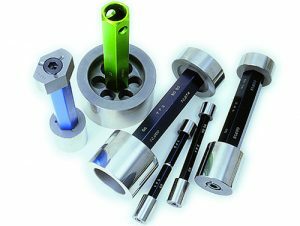 Gauge life and dimensional stability are guaranteed based on well proven manufacturing processes and a robust quality management system. YPG Gauges are manufactured to BS969 – 1982 using the component hole tollerancing as the basis for determining the gauge manufacturing tolerances. In addition gauges can be supplied to DIN and ANSI standards. Gauge Members are securely held in a black hexagonal handle marked with the Go and No Go dimensions. • 5-7 Day Express Delivery Service.